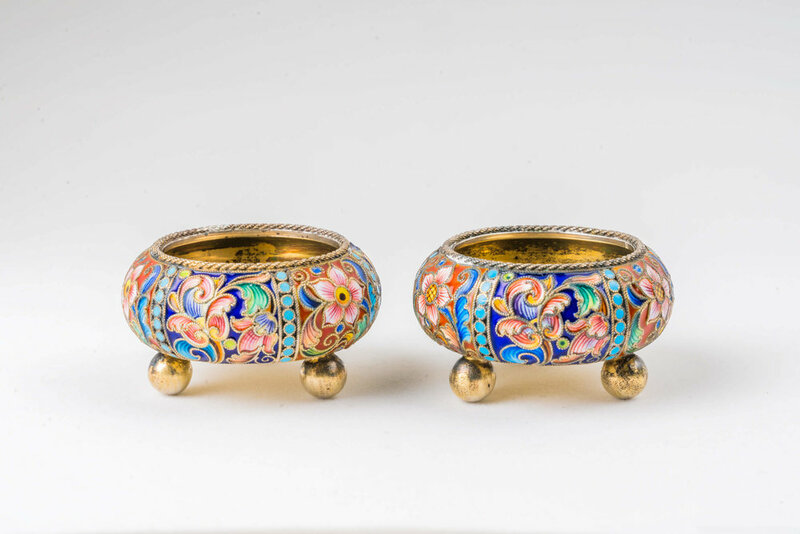 Pair Of Antique Russian silver 88 cloisonne shaded enamel salts by Feodor Ruckert. 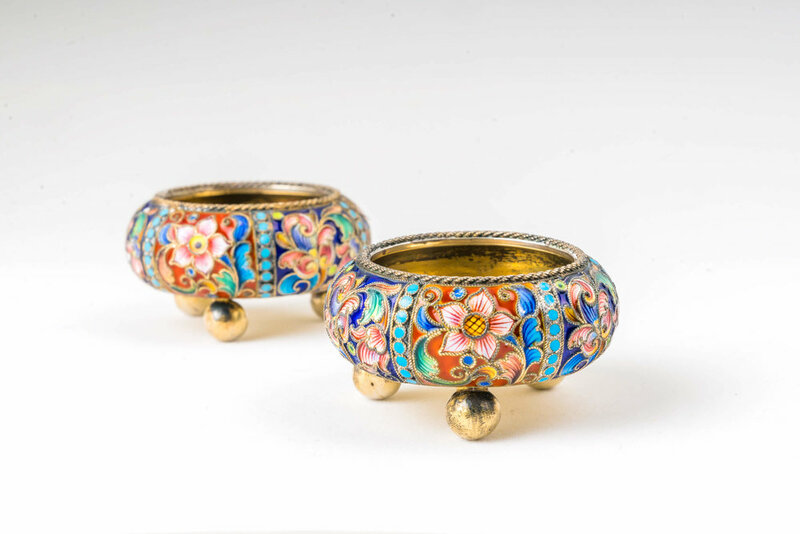 A beautiful pair of antique Russian silver 88 cloisonne shaded enamel Salts by Feodor Ruckert. Height of each is 0.9 inches. 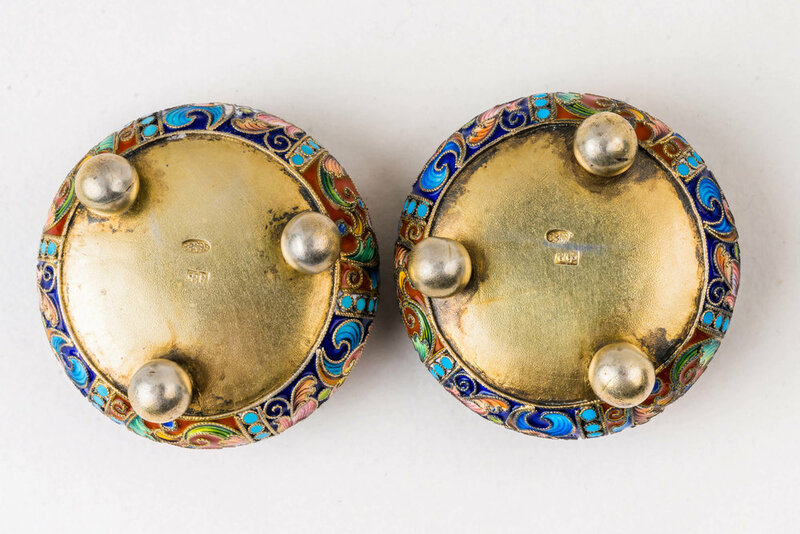 Diameter of each is 1.6 inches. Weight of both is 58 grams.